Legislators are back at it in Washington state. 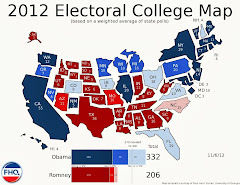 Since eliminating the presidential primary for the 2012 cycle, there have been ongoing, albeit unsuccessful, attempts made to not only reposition the presidential contest on the primary calendar, but to reconfigure the process in the Evergreen state as well. 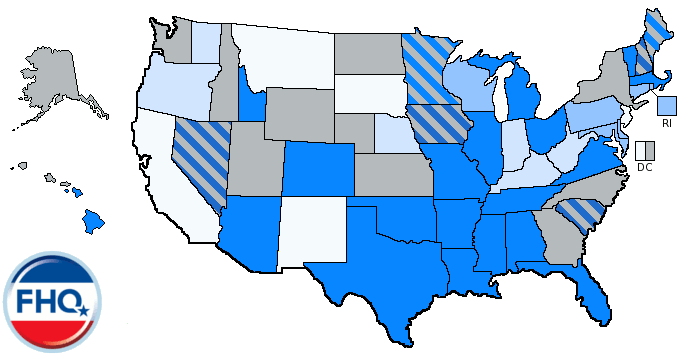 The sticking point in 2015, as illustrated in the descriptions linked to above as well as in 2017 when similar legislation was introduced, has always been how to balance both the lack of party registration in Washington and the history of a top two primary ballot in the context of a presidential primary. None of the remedies to this point have been sufficient enough to get an omnibus presidential primary bill passed. And that has continued to keep the contest in its relatively late May position, but has also given Democrats continued opportunities to opt for caucuses in lieu of the presidential primary. And now there are competing, partisan bills in the Washington state Senate to again make some attempt in 2019 at changing several aspects of presidential nomination process in the state. The Republican version -- SB 5229, and its House companion, HB 1262 -- would move the primary from the fourth Tuesday in May to the second Tuesday in March. This mirrors the date on which neighboring Idaho currently has its presidential primary scheduled and the date legislation in southern neighbor, Oregon, is targeting in a similar move. In addition, the bill would also grant the secretary of state the ability to shift the date of the primary from that new March position to a date as early as February 15 or to move it to a later date. The added flexibility is intended to help the secretary to potentially facilitate a western regional primary with any state from among Alaska, Arizona, California, Hawaii, Idaho, Montana, Nevada, Oregon, or Utah. The current law already gives the secretary the power to initiate a date change, but the ultimate decision to do so resides in a bipartisan group that includes the secretary as well as state legislative and state party leadership. Changes outlined in the new legislation would shift even more discretion to the secretary of state, but not without some guardrails. Should any new date chosen deviate from the second Tuesday in March date by more than three weeks, then the secretary would continue to have to receive a green light from bipartisan committee detailed above in order to move the primary. All of that is relatively uncontroversial. Again, the point of contention has always been over who gets to participate in the presidential primary in a state with no party identification. Under the Republican proposal all registered voters would be able to participate, but it would be up to the state parties to decide which of those votes actually counts toward their delegate allocation. All candidates -- Democrats and Republicans -- would be listed on the ballot with their party affiliation listed as well. Partisans who wish to declare and affiliation with a particular party -- swear an oath through a mark on the ballot -- would only be able to vote for a candidate who shares that affiliation. Democrats can vote for Democrats in other words. Unaffiliated voters -- whether they wish to declare that they are unaffiliated on the ballot or not -- would be able to vote for whomever they want, regardless of party, but may not ultimately have that vote counted toward the delegate allocation. Again, that decision rests with the state parties. Under the Republican plan none of the information stemming from the party declarations would be made public as it is in semi-open primary states with similar sorts of oaths. In contrast, the Democratic bill, sponsored by nearly the entire Democratic leadership in the Washington state Senate and including the chair of the State Government, Tribal Relations and Election committee to which the bill has been referred, differs in subtle ways. SB 5273 would also shift the date of the presidential primary from the fourth Tuesday in May to the second Tuesday in March. 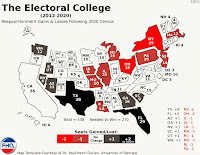 And the measure would also allow the secretary of state to alter the date in order to form a western regional primary (with the same group of nine states). 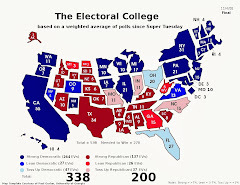 However, the secretary, unlike under the provisions in the Republican bill, would only be allowed to shift the date of the primary up as far as the national parties' delegate selection rules would allow (the first Tuesday in March under the current national party rules). That eliminates the potential for Washington to go rogue as is allowed under the Republican legislation. Moreover, the secretary would have similar discretion to what secretaries of state have under the current law. Deviations from the second Tuesday could continue to occur, but not without a thumbs up from two-thirds of the bipartisan committee described above. Again, these are subtle differences, but the secretary of state would have less latitude under the Democratic bill than the Republican one. The framework also differs under the Democratic plan with respect to participation. The all-encompassing ballot would remain as would the partisan declarations. But the Democratic plan does not include the possibility of unaffiliated declarations; declarations that a voter is unaffiliated with a party. Yet, any voter who does not declare an affiliation could vote, but at the discretion of a state party, not have their votes counted toward the the delegate allocation. Finally, the Democratic legislation would make public partisan declarations of affiliation sworn to on the ballot. There is a lot to digest in these bills, but the main takeaways are that both seek to change the date of the primary and both make some attempt at balancing the history in the state of a blanket primary-type ballot and the state parties' desire to tamp down on crossover voting in particular, but potentially curbing unaffiliated voters influencing the presidential nomination process. 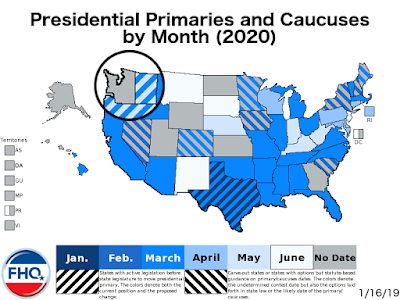 The Washington bills have been added to the FHQ 2020 presidential primary calendar.